Redding Homes for Sale - Redding CA, a great place to call home! This Redding Real Estate web site includes a complete presentation of Redding Homes for Sale, Condos, Gated Communities, and much more. You'll find Redding California Real Estate for sale plus information on the communities that surround us. Redding Homes - List Search! By Price, City, Acreage, Bedrooms, and more! This Redding CA Real Estate web site includes a complete presentation of Redding Homes for Sale, Condos, Gated Communities, and much more. 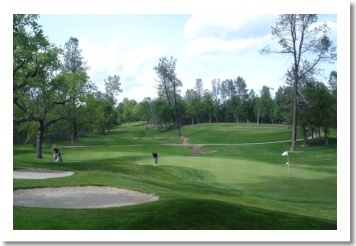 You'll find Homes for Sale in Redding CA plus information on the communities that surround us. Near Redding CA. we find homes with amazing variety in the communities of Anderson, Cottonwood, Palo Cedro, Bella Vista, Shasta Lake and many more. Also here are Area Pictures, Redding MLS Search and an extensive Photo Gallery, take your time and enjoy all the Northern CA information. Near Redding CA. we find homes with amazing variety in the communities of Anderson, Cottonwood, Palo Cedro, Bella Vista, Shasta Lake and many more. Also here are Area Pictures, Redding MLS Search and an extensive Photo Gallery, take your time and enjoy all the Northern CA information. As a local Redding Realtor for more than 20 years I am here to help you find Redding Homes, Vacant Land and more. It would be a pleasure helping with these & ALL your real estate needs throughout our terrific City and the surrounding region. The best Redding CA Real Estate search, try it! I was raised and have lived in the Redding community for decades while also being a Redding Realtor helping people with their Redding Real Estate goals. Whether I help you buy or sell, I will treat you with respect and will work towards gaining your long term future business as well. I'd be happy to bring my local knowledge and advice towards helping you with YOUR needs. Redding Realtor Reviews & Recommendations - - - Experience Counts - - - I can help you sell! We are at the hub of our portion of Northern California stretching from Sacramento California to the south and north to the Oregon border which is a distance of nearly 300 miles, we are the centerpiece. It's exciting to see the growth happening at a reasonable pace. The amenities of a much larger community are here to serve this vast and diverse region. Two major hospitals are the core to the medical community both of which are located here, as are most State and Federal agencies. Within an hour of town you can be doing an amazing variety of outdoor activities. The variety of natural beauty in all directions is what attracts many people. 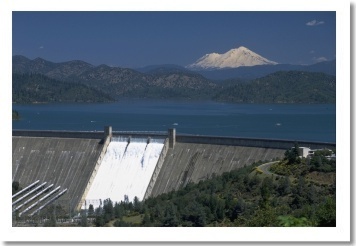 A sample of these would be Shasta Lake, Mt. Shasta, Mt Lassen National Forest, Whiskeytown National Recreation Area with Whiskeytown Lake, Burney Falls, Trinity Alps, Castle Crags, and many more all in our Northern CA neighborhood. Visit the Photo Gallery section and see all the beauty that surrounds us. As you can imagine this is just the tip of the iceberg of things to do and see. Our Northern CA location lends itself to a large variety homes and real estate opportunities. Homes are available on a few acres, in city settings, and gorgeous homes that are more affordable than you might think. Perhaps a small home in town will work. How about a high elevation setting with tall cedar and pine trees, all of these choices and many more are within a 30 minute drive. Visit the Properties section and you can see for yourself this great part of Northern California. For photo's like these and many more visit the Area Photos and Properties for Sale sections. This local Realtor created web site is intended to help people who are looking to find information about our market in Northern California including the surrounding communities of Cottonwood, Anderson, Bella Vista, Palo Cedro, Red Bluff, Shasta Lake, Shingletown, Whitmore, Millville, Happy Valley, Lakehead, Lake California, Oak Run, and Real Estate in Northern, California. The site is owned and designed by Realtor Eric Lewis. The focus here is the inclusion of a large amount of images, and that a picture tells a thousand words. Pictures and a lot of them is the idea, with more pictures being added regularly. If you take your time to navigate the site you will see that this is truly a great place, and I'm proud to call it home.